Hope you enjoyed Bhagwan Mahavir's Nirvana celebration at your respective Jain Centers. Once again Saal Mubarak on behalf of JAINA EC and BOD. On the auspicious occasion of Gyan Panchami, many of us must be fasting and most of the temples are conducting Gyan Pujan. JAINA acknowledges those who are fasting on these holy days. The 5th day after Diwali is known as "Gyan Panchami". 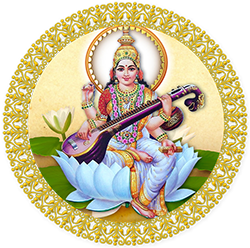 Gyan Panchami is celebrated as a day of honoring knowledge and holy books. In Jainism, this day is a time for students and scholars to celebrate Jnana, the divine or transcendent knowledge or wisdom. It is a day of worship of pure knowledge. Gyan Panchami is the festival celebrated by Jains to recognize the importance of their scriptures. The books preserved in the religious libraries are cleansed and worshipped. Rituals involving books and writing instruments are performed. Prayers are said for guidance to acquire the right knowledge. The temples are lit up. On this day in temples, all the holy books and scriptures are laid out on a table. 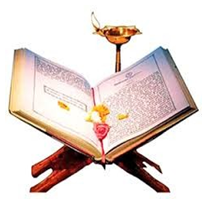 People perform pooja on the scriptures, and also on blank papers and unsharpened pencils. Many temples distribute these blank papers and pencils. Many Jains fast on this day. They do dev vandan (offering veneration to the Gods). Holy recitation and Pratikraman is performed. On this day, many take a vow to do a fast every month on the fifth day of the fortnight of the waxing moon for continuous five years and five months. It is also known as ‘Saubhagya Panchami’ and as the ‘Labha Panchami’. Samkit shradha vantneh upanyu gyaan n prakash pudmu pudkuj tehana bhav dhuri ulaas. Ichchhami Khamasamano, Vandium javanijjae niseehiae Matthaen Vandami. Ichha Karen Sandisah Bhagwan Matigyaan, Shrutgyaan, Avthigyaan Manhaparyvgyaan, Kevalgyaan eh paanch gyaan aradhna nimitum kaussag karu. Then say the full Loggassa. Then do a Khamasamnu and say:Gyaan aradhna karta je koy dos lagyo hoi teh savhi man vachan kaya eh kari Michammi Dukkadam. If we have given any incorrect information then please forgive us, Michammi Dukkadam ! The world of today is influenced, wrongly by false knowledge, So the Samyak Gyan is necessary. Gyan is the light of the inner soul. It is a natural light. It is also a bright flame of life. We can't see anything without its light. We can't know even the difference between true and false Gyan is called the second sun and the third eye. So the worship of Gyan Panchami should be done. Members of the Jain community celebrate this day with a great joy and happiness. On this auspicious day, students and scholars celebrate Gyan, the divine or transcendent knowledge or wisdom. For the Jains Gyan Panchami is the festival celebrated to recognize the importance of their scriptures. On this day women clean their home. They then prepare for special Pooja and Jap path in their respective houses. Rituals that involve books and writing instruments are performed with great reverence. Prayers are also recited during the festival for proper guidance to acquire the right knowledge. All the temples are decorated with lights on this day. During the festival, all the holy books and scriptures are laid out on a table. Elaborate Poojas are performed on the scriptures, and also on blank papers and unsharpened pencils. Blank papers and pencils are also distributed by many temples on this day. The Kayatsarga of fifty-one Logassa, fifty-one Swastikas, fifty-one Khamasanas and the Jap Pad of `Namo Nanassa` and twenty Navakarvalis are performed on this day. It is believed that by celebrating this festival all the bad results of Karmas are destroyed. The following shloka is sung on this day.